Shipments of Sony PlayStation 3 consoles bound for Europe have been seized following a legal injunction won by LG, in the latest round of an acrimonious patent war. Tens of thousands of consoles were held in Holland last week, with customs officials under instruction to confiscate further arrivals sent to the continent. LG and Sony have been battling over the former's insistence that the the PS3 infringes on Blu-ray technology patented by LG. The Guardian reports that the situation is further complicated by a number of other patent disputes that the two companies are currently contesting with each other. Sony is frantically trying to get the ban lifted so that the 100,000 consoles a week sent to Europe can be distributed to retail outlets. 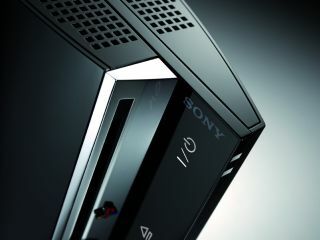 A spokesman for Sony PlayStation told the newspaper: "We are currently looking into this matter, and cannot make any comments at this point in time." It is thought that suppliers have two-to-three weeks worth of consoles backed-up at any one time, so there is presently no threat of a shortage unless the ban continues into the next couple of weeks.